Fast Cleaners Sutton offer a wide range of specialized cleaning services. No job is too small or large, and our clients are both domestic and commercial. Established in 2001, our 13 years of experience ensure we have the skills to satisfy your requirements for a cleaning service, whatever your requirements are. We regularly provide commercial cleaning services throughout the Greater London area. We cover both central and the Greater London areas and can offer fast and free quotes for your commercial cleaning needs. All our operatives are fully insured, vetted and uniformed and are highly trained to provide discrete and professional cleaning services at all times. Health, safety and cleanliness in the workplace is of the highest priority to both us and our clients. We hold The Institute of Inspection, Cleaning and Restoration Certification (IICRC). Your shop windows, along with your reception area are the face of your business, presentation is everything. Our cleaning company can clean your windows regularly and we have the expertise to make sure that when we clean your windows they really sparkle. To ensure your premises look absolutely immaculate, we can even clean your carpets for you, adding stain protectors and pest repellents if required. Our house cleaning service is of the highest professional quality. Why spend your precious time at home cleaning and scrubbing. By using our cleaners regularly you can come back from work to a home that looks and smells clean and fresh every day. Our operatives are all fully trained and all their work is regularly inspected by one of our contract managers so you will always receive the best level of service. If you just need a one off cleaning service such as the traditional spring clean, we can do this for you for very competitive cleaning prices. 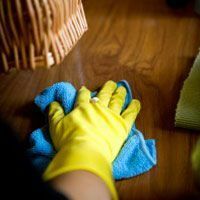 When you weigh up the small cost of using professional cleaners to keep your home fresh and clean, it becomes clear that it is not worth doing it yourself. Our staff are all uniformed and very discrete whilst going about their duties and they all take great pride in their work. To complete your fresh clean look, our carpet cleaning service even includes awkward areas such as flights of stairs and small rooms such as your bathroom. Fast Cleaners Sutton are members of the National Carpet Cleaners Association (NCCA) so you can be confident of a good quality clean. Our house cleaning services are not just for domestic clients. We offer a range of services to commercial companies for houses including a builders clean and an end of tenancy clean. We realise that every client’s requirements are different so we can offer bespoke contract cleaning services that focus on your requirements exactly. Further services we offer for houses are patio and driveway cleaning, and for the environmentally conscious it may be useful to note that we use green products and are green aware. Give us a call on 020 3322 7030 for a free no obligation quote.